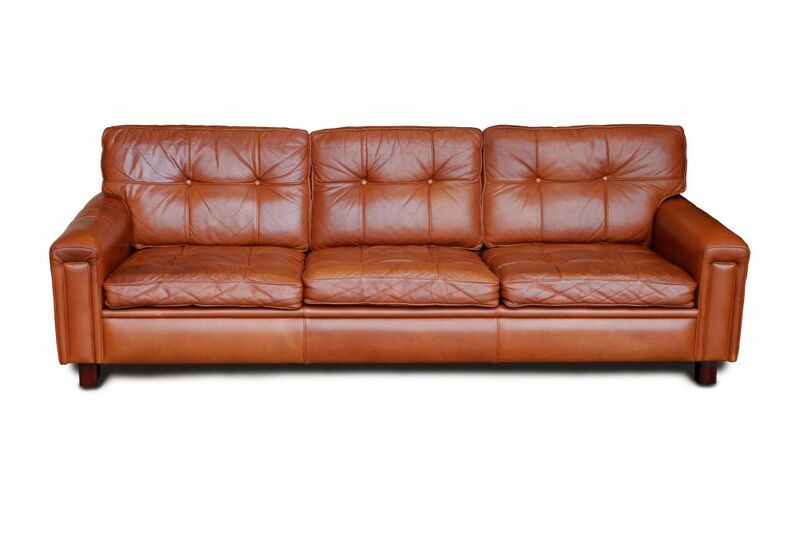 This is the work of the Swedish designer, Arne Norell. It was probably made in Norway by Vatne. This sofa has that wonderful well used, lived in look. 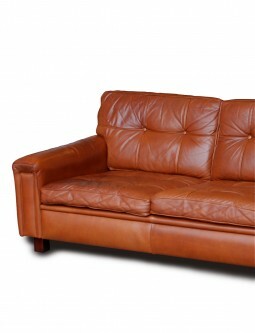 The leather has developed a patina, a depth of colour and character. The sofa has great style: modern, boxy, low and very comfortable, the type you can slump down into or stretch out on with your feet up. It also looks good from the back so could be used as a room divider. 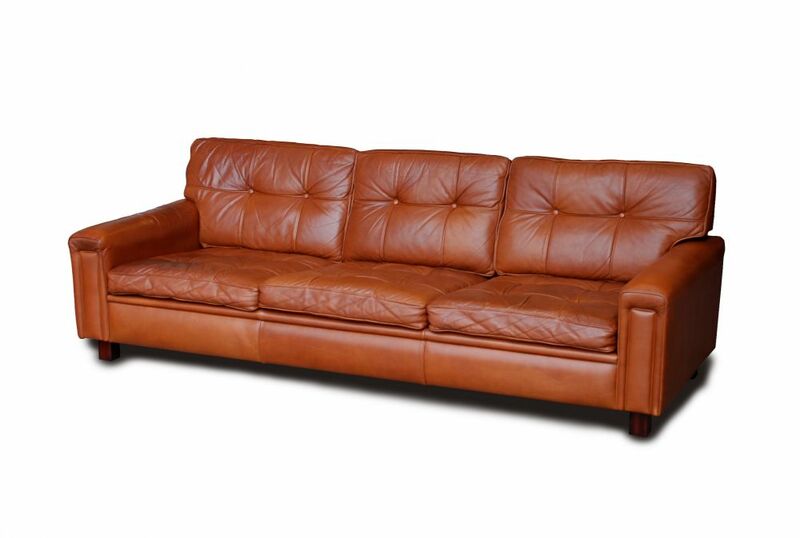 The sofa was probably made in the 1960s, and is in very good condition. The sofa is 210 cm wide, 80 cm deep and 73 cm high.